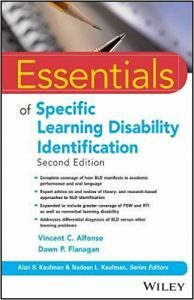 Essentials of Specific Learning Disability Identification provides accessible, authoritative guidance on specific learning disability (SLD), with the most up-to-date information on assessment, identification, interventions, and more. Contributions by leading experts examine multiple theoretical orientations and various identification approaches for dyslexia, dyscalculia, dysgraphia, and other common SLDs. Emphasizing real-world utility, this book provides important information for professionals who work with children and youth at risk; many of the SLD identification practices can be put to work immediately, and the expert coverage offers many strategies and interventions for student support in the classroom. 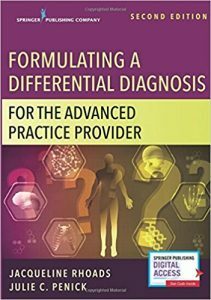 This new second edition has been updated to align with the most current understanding of SLD manifestations, diagnostic assessment, and evidence-based interventions, and includes new material covering nonverbal learning disability, speech-language impairment, general learning difficulties, and differentially diagnosing SLD from other conditions. Early SLD identification and the right kind of help can raise the trajectory of a child’s life. This book provides in-depth information to facilitate accurate identification and appropriate intervention to help you help the children in your care. If a child’s learning disability is caught early, and the correct type of support is provided, that child gets the chance to develop the skills that lead to achievement in school and beyond. As a high-incidence disorder, SLD affects 10-15 percent of the general population, making successful identification an essential skill for those who work with children. Essentials of Specific Learning Disability Identification provides authoritative guidance and practical methods that can help you start changing children’s lives today. 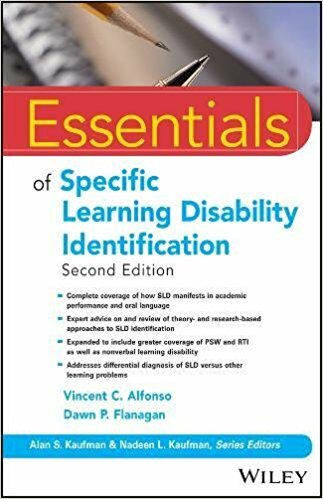 Essentials of Specific Learning Disability Identification offers state-of-the-art guidance and practical advice for the accurate identification of learning disorders. Featuring contributions from esteemed researchers and coverage of the most recent strategies for intervention and support, this book gives practitioners an accessible, authoritative resource that clarifies both the definition of SLD and methods of identification. Full coverage of SLD academic manifestations includes discussion of difficulties in reading, writing, mathematics, written expression, oral expression, listening comprehension and more, with a practically-oriented examination of multiple theoretical orientations and various approaches to identification. This new Second Edition features expanded coverage of nonverbal learning disabilities, neuropsychological perspectives, differential diagnosis of intellectual disability and speech-language impairment, Positive home-School Partnerships, and more, with extensive new coverage of identification approaches including the PSW and RTI. An invaluable resource for professionals who work with children at risk for learning disabilities, Essentials of Specific Learning Disability Identification merges authoritative information with practical guidance to facilitate accurate SLD identification — enabling timely intervention and the appropriate support that allows these children to lead successful, productive lives. VINCENT C. ALFONSO, PHD, is Dean of the School of Education at Gonzaga University in Spokane, Washington, and a certified school psychologist and licensed psychologist in New York State. He is co-editor of Essentials of Planning, Selecting, and Tailoring Interventions for Unique Learners and co-author of Essentials of Cross-Battery Assessment, Third Edition and The Achievement Test Desk Reference: A Guide to Learning Disability Identification, Second Edition. DAWN P. FLANAGAN, PHD, is Professor of Psychology at St. John’s University in Queens, NY. She is also an Affiliate Clinical Professor at Yale Child Study Center, Yale University School of Medicine in New Haven, CT. She serves as an expert witness, SLD consultant, and test/measurement consultant and trainer for organizations both nationally and internationally. She is a co-developer of Cross-Battery Assessment and its corresponding software system (X-BASS). Her most recent books include Essentials of WISC-V Assessment; Clinical Use and Interpretation of the WJ IV: Scientist-Practitioner Perspectives; Essentials of Specific Learning Disability Identification, 2e; and Essentials of Planning, Selecting and Tailoring Interventions for Unique Learners. Her forthcoming book is Contemporary Intellectual Assessment: Theories, Tests, and Issues, 4e.